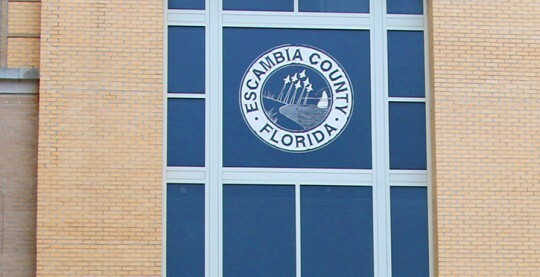 With the addition of two names Tuesday, there are now eight finalists set for interviews for Escambia County administrator. Commission Chairman Lumon May added Kimberly Washington of Molino and Ricardo Mendez of Miami. He previously expressed displeasure with the lack of diversity among the finalists. They join three candidates on a rankings list compiled by the Florida Association of Counties for the county, and three other candidates previously added to the list by commissioners. Commissioner Steven Barry added Janice Gilley of Molino to the list. Commissioner Robert Bender added Cedric Alexander of Pensacola, and Commissioner Jeff Bergosh added Christopher Martin of Gulf Breeze. The commissioners will meet with candidate one-on-one the morning of April 29 before the candidates appear before the entire board in the afternoon. Craig Coffey from Flagler Beach, FL. County administrator in Flagler County from 2007-2019, has 20 years experience as a city/county manager with extensive Florida county government experience and 11 years additional local government experience. Patrick Thompson from Woodbury, MN. County administrator in St. Croix County, WI. Over 36 years local government experience. David Strahl from O’Fallon, MO. County administrator in City of O’Fallon, MO. 30 plus years local government administration experience, none in county government. Christopher Martin from Gulf Breeze. He served as the commanding officer of Pensacola Naval Air Station and spent 27 years in the Navy. Janice Gilley from Molino. She has held the position of vice president of External Affairs at the University of West Florida for 10 years. She served one year as the national policy director for the Foundation for Excellence in Education, one year as deputy chief of staff for the Florida House of Representatives and served as policy director and deputy policy director for year in the Executive Office of the Governor in Florida. She served as an Escambia County commissioner from 2002-2004. Cedric Alexander from Pensacola. He has 13 years government experience including deputy chief in the Office of the Mayor in Rochester, NY, public safety director in Dekalb County, GA, and a federal security director for the Department of Homeland Security. Ricardo Mendez of Miami. He was mostly recently finance director in Sweetwater, FL, and previously served as COO/CFO of Harrisburg, PA. Additional experience includes planning and development for the Seminole Tribe of Florida, and time with the Palm Beach School District, City of Miami Beach, and Miami-Dade County. Kimberly Washington of Molino. Currently engineering manager with Mississippi Power, also worked as their compliance and support manager. She also worked with Alabama Power and Gulf Power. 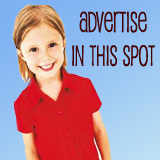 The county paid the Florida Association of County Managers $5,000 to create a short list from the 120 plus applicants. This is the same process that the crazy people of Escambia voted for the hiring of our future school superintendent. I’m sure a consultant will be paid big bucks in this process as well. This process was ridiculous. Pay a fee to a consultant then narrow it down then add in people they want.